While 60-65 is still considered as the general retirement age in India, an increasing number of young professionals are aiming to retire sooner. While this might seem like a complicated feat, with the right knowledge and investment selection, the goal is nearer than you'd expect. Check out this post for some very important dos and don'ts of retirement planning. We strive throughout our younger days with a hope to live a financially independent and peaceful life once we retire. In India, the retirement age is usually around 60-65. However, there is a rising trend among young professionals to retire sooner and take up something like a hobby which they always wanted to do in their younger days. The first thing that you should do is to get your goals in order. Try to imagine the type of life you'd like to live after your retirement. It is only once you know how much money you'll need after retirement that you can identify an approximate amount that you'll need. Once you know the approximate amount, you can then start working on your saving and investing strategy. No matter even if you are in your 20s, you should start planning for your retirement as early in life as possible. But this does not mean that you cannot begin even if you are already in your 30s or 40s. When you are young, it is not possible for you to save a considerable amount and invest the same on a regular basis. But the more important thing here is to begin. Start saving and investing whatever you can right now. Now that you are focused on investing, it is also essential to understand the different investment options. From direct stock investments to mutual funds, there are several options that you can consider for long-term wealth creation. Try to understand how these investments work to pick ones that suit your financial goals and risk appetite. Direct stock investments and even equity funds are very popular for their impressive returns potential. No matter how good you are at picking stocks and funds, you should never put all of your savings in a single investment vehicle. Always try to build a diversified portfolio with elements like stocks, mutual funds, bonds, etc. The inflation monster will continue to reduce the value of money. So, when you are trying to project your post-retirement life and calculating what you might need after retirement, do not forget to consider inflation. Your purchasing power will fall considerably within 20-30 years, and you'll need a significantly higher amount to manage a financially independent life after retirement. While it is good to spend less and save more for your early retirement plan, this should not be done at the cost of compromising the quality of your current life. Try to work out a balance between your current and future life to make sure that none has to compromise abundantly to make way for the other. 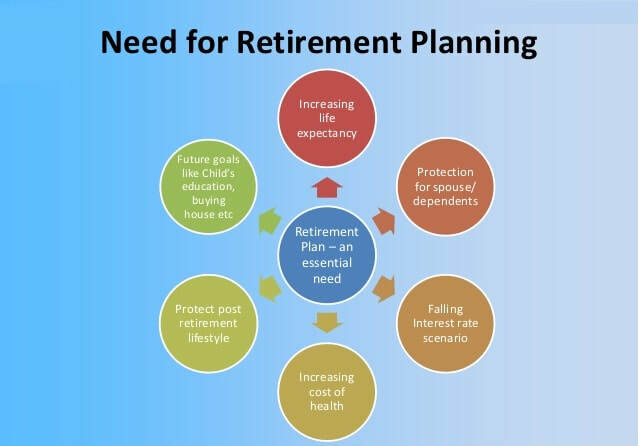 With the rising income and several investment options in India, early retirement is very much possible. Be it spending the post-retirement life with your children and grandchildren, starting a new business, or just enjoying what you love, all of this is achievable with a solid investment strategy. Keep the points mentioned above in mind and put them in action as soon as possible to create a solid retirement plan.